The lesson that we can take from Mark Driscoll’s incident with the Christian radio station that confronted him with allegations of plagiarism is this: It’s okay to steal from your friends. The story thus far is that Driscoll went on Janet Mefferd’s show to discuss his new book. What he got was two questions about his lying about his books being confiscated at MacArthur’s strange fire convention and his plagiarizing of sections of his books. Driscoll was not cooperative with the interview and it was a bad one. The radio host Janet Mefferd then published a PDF of all the side-by-side comparisons she had found so far. The Internets waged message wars back and forth. The fallout up to this point from accusations made by syndicated radio talk show host Janet Mefferd that author and megachurch pastor Mark Driscoll plagiarized in at least two of his books includes her pulling the allegations from her website, an apology to the outspoken Christian leader, and most recently, what looks to be the resignation of a dismayed producer from her show. Wow. So a legitimate news story with substantial research is pulled and the radio host censured? Why? It was fun seeing people initially twist themselves into knots trying to justify Driscoll’s actions. I was shocked at Todd Rhoades saying that it’s not plagiarism if you steal from your friends. It sounded so ludicrous, as even by Rhoades’ own checklist as to “what constitutes plagiarism,” well, Driscoll fails the test. But then Driscoll and Tyndale came out with a joint statement that says…exactly that. Pertaining to his Tyndale book, A Call to Resurgence, Tyndale believes that Mark Driscoll did indeed adequately cite the work of Peter Jones. While there are many nuanced definitions of plagiarism, most definitions agree that plagiarism is a writer’s deliberate use of someone’s words or ideas, and claiming them as their own with no intent to provide credit to the original source. Both Mark Driscoll and Tyndale completely agree that the above definition describes an ethical breach and therefore work hard to provide proper citation and to give credit where credit is due in all their works. Tyndale rejects the claims that Mark Driscoll tried to take Peter Jones’s ideas and claim them as his own. Moreover, at Pastor Driscoll’s invitation, Peter Jones has written on the Resurgence website, and spoken at a Resurgence event, as well as a Mars Hill workshop. Quite the opposite of trying to take Peter Jones’s ideas, Mark Driscoll has provided several opportunities for Peter Jones to publicly express his ideas to a large audience. I personally contacted one of the editors of the work that was not rightly attributed. Thankfully, he and I have a longstanding relationship, which includes him teaching at Mars Hill and publishing a book with us through Resurgence. He’s a godly man who has been very gracious through all of this. I am deeply thankful for his acceptance of my apology, as I deeply grieve this mistake with a brother in Christ whom I appreciate very much. Really? It’s okay to steal from people and sell/pass off as your own ideas…because the people you stole from were your friends? It’s not just about plagiarism. I can believe the cut and paste was made without the right footnotes out of carelessness, that it was not carried out with an intent to deceive. It happens. So, no, it’s not just about plagiarism. I can believe Pastor Mark is not culpable in this. But he is responsible. If you understand the distinction. It’s about failing to take responsibility for the book with one’s name on it. It’s about throwing loyal friends under the bus. It is contrary to the kingdom of God we are called to proclaim and embody for under-shepherds to horde credit and shift blame… This latest episode is just the latest example indicating an evident lack of accountability and personal responsibility. All along, I’ve trusted that Pastor Mark had the right people around him, speaking the hard truths to him. I assumed those voices were there and authorized by him to keep him honest. I no longer believe this. Is pastoral plagiarism okay when you steal from your friends? Is giving a platform for someone’s ideas even as you steal them for your own works an okay trade-off? Do you agree with Tyndale’s definition of plagiarism: “a writer’s deliberate use of someone’s words or ideas, and claiming them as their own with no intent to provide credit to the original source.” I don’t know where Driscoll went to college, but unintentional plagiarism was punished the same way as intentional in academic settings. In my academic world, there is no distinction between accidental and intentional plagiarism. This has miffed many a clueless young student, but that’s how it’s handled in our institution. I agree with the assertion that Mr. Driscoll, whom I will not dignify with honorifics such as “Reverend” or “Pastor,” is AT MINIMUM responsible for his transgression. From what I read of the PDFs, the citations fall short of what I would require of a second year college student, much less of a professional in any field AND of a publishing company. Oh Mark… Once again we see the inherent dangers of the “cult of personality.” Although, to be fair, that is by no means solely a mega-church phenomenon. Smaller churches can be just as (or perhaps even more) vulnerable. The danger is that a mega-church apparently has the wherewithal (money and influence) to dodge responsibility, as Mars Hill seems to have done here. There is a deeper philosophical conversation extant about creativity, the ontology and ownership of ideas, originality, plagiarism, ethics and even free will. But I don’t think that’s what Mark and Mars Hill were thinking about in this instance… And I also do my best to make sure people know when something I’m saying comes from another source. Although sometimes I can’t quite remember WHERE I heard/read it! Andy Crouch had an interesting article in Christianity Today a couple of weeks ago in which he argued that the root problem probably was not an overt attempt on the part of Driscoll to claim the work of others as his own… but instead was an “authoring enterprise” that has grown larger and faster than proper editorial safeguards can handle and that is dangerously close to making of Driscoll a false idol. While I can’t speak directly to Driscoll’s situation, having worked in educational publishing for three decades I can assure you that Crouch’s scenario is all too common and very plausible. Not that it’s less of a problem than intentionally stealing others’ work… just one of a different nature. John, thanks for the article by Andy Crouch. That was terrific and had I read it before posting the above, I think my writing would have changed direction a bit. Thanks for sharing! I like how he takes it theological with his point on collaboration. Of course the typical American attitude is one of self-sufficiency and… well, pretty much advertising yourself. It seems as if Mark (and many other “big names”) have bought into that system that Andy rightly calls idolatrous. When Shakespeare wrote his plays, did everyone knew where they had come from — “hey, this Shakespeare dude just did an awesome remix of ‘The Jew of Malta'”? Shakespeare’s audience may have regarded it as allusion, not as plagiarism. It became plagiarism later, when the general public forgot all about Marlowe et al, and literary historians started noticing the parallels that everyone recognized instantly in Shakespeare’s day. It doesn’t matter how famous you think a quote is. Proper modern usage is to cite. And Marlowe has never been “forgotten.” Certainly not by literary historians. Your point with Shakespeare is based on mere speculation about what exactly his audience would have known, how many would have known it, and how deeply they would have known it. It’s not quite as simple as you make it out, which was the basis of my point. Intent or not, plagiarism is theft, pure and simple. It is (in my opinion) one of the lowest forms of promoting oneself. At least the evangelical industrial complex (thanks for the term, Ms. Schlueter) was able to define the term in such vague terms as to prevent an actual declaration. Obviously, they are not concerned with the academic definition. As such, can we even assume that they are in they business of educating and edifying the people of God concerning God’s Kingdom? Dave, the problem isn’t limited to evangelicals specifically, nor to Christian publishing generally. It is rampant throughout the publishing industry (especially in the general trade and educational fields) where a combination of tight budgets and the pressure to produce reams of material under ever-decreasing schedules result in sloppy manuscript development, fact checking, copyediting, and permissions work. Bear in mind that there are few independent Christian publishers remaining–most have been swallowed up by the same large commercial enterprises that produce our school’s textbooks. Jeremy, you have been outspoken in your support of Frank Schaefer and your belief that our church trials are a waste of time, trials meant to hold a pastor accountable to our church law. 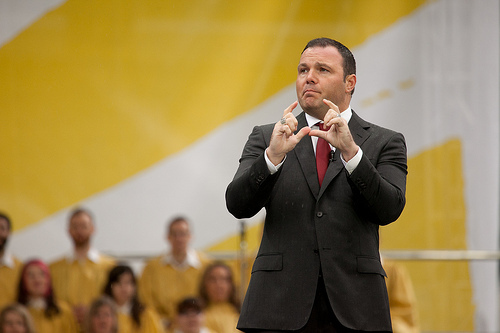 On what basis do you feel it is right for you to call for Mark Driscoll to be held accountable by his church leaders? Pointing fingers at other pastors who break the rules while applauding those in your own denomination who do the same doesn’t lend to your credibility. Chad, thanks for your question. It matters whether one acts because they consider a church law to be a discriminatory law. You’d be hard pressed to find someone who considers prohibitions of adultery or plagiarism or child abuse to be discriminatory. Ecclesiastical disobedience because the church law is discriminatory to an identified group of people is wholly different than plagiarism which only benefits one’s self. (1) Concerns about process when the trial was brought on because of an HR dispute in a local church. (2) Concerns about the punishment of “must uphold the whole Discipline” when there’s many ways how that is unlikely for any clergyperson. Just like the members of any religious, secular, or humanitarian effort, one can support the organization and its processes while disagreeing with and active engagement to change some of the particulars. Lockstep “yes-man” would do worse for my credibility because that’s not who I am and–thankfully–that’s not how doctrine defined by democracy sees disagreement either. The issue, however, is that 40 years of discussion have democratically (for lack of a better term) upheld our church law on this issue and do not view it as discriminatory but being faithful to the biblical witness. If homosexual behavior is indeed sin, then there is no “discrimination,” but rather, freedom to be found in Christ. But that’s another topic. The point is, you seem to want tolerance when you think someone broke a rule you don’t agree with, but when a rule is broken you agree with, you want accountability. that’s a double-standard. Should Frank Schaefer be held accountable for willfully breaking denominational law? I disagree with your characterization of a double-standard. All United Methodist law is not equal. If a pastor “violates the Discipline” by not observing Native American Ministries Day Offering, they are not held to the same level of accountability as performing a same-gender marriage. In the same way, viewing a church law as discriminatory is not to call for “tolerance for a rule I disagree with” it is to say the law itself is sin. I don’t want tolerance: I want the law to go away. To oppose an unjust church law is a perfectly Methodist to say and work towards. We extended voting rights to laity, to women, incorporated African-Americans, and other changes in our law because of people who viewed the law as discriminatory. Methodists are who we are because of holy discontent from the loyal opposition; otherwise, if you want yes-men who vote in lockstep, go join the Baptists. Those that engage in ecclesial disobedience willingly accept the process of accountability for their actions. The result of such an accountability process is often a point of contention, but I don’t see those who choose this path as being unwilling to engage the disciplinary process. Hum… a tempest in a teapot regarding which complaints amount to the proverbial sound and fury, signifying nothing. You are right, not all of Methodist church law is equal. Something deemed as “incompatible with Christian teaching” is not on the same level as failing to observe a special offering. Surely you can see the difference. But in your case, because you fail to uphold the one, you lose any ability to call foul for the other. If even that which which we do call sin means nothing to you then you might as well throw out the entire BoD, because it’s all relative. You have no base from which to hold anyone accountable for anything. Go join the Baptists? Come on Jeremy, you are smarter than that. It’s you and your ilk who wish to throw off the yoke of our global connection so you can be more autonomous to make your own rules based on your own cultural context. If anyone should leave and become Baptist it’s you. Is there any line you haven’t hacked away at? What happens when the married couple comes to you asking for your blessing as their pastor on their open marriage? Sure, church law calls this adultery, but hey, they look happy enough, and isn’t that all that matters? Who are you to say a covenant is important, after all? Or, I guess i can count on your full support when I buck both church and state law to marry my son to his 2 girlfriends or a father to his 16 year old daughter. We find these laws discriminatory, and as a matter of conscious, I can’t in good faith deny these faithful members of my church a basic right everyone should have. I mean, they LOVE each other! Jesus said they’d know us by our love! And if you met them, you’d see what I mean. They are so NICE! And man, they give lots of money to Imagine No Malaria. Great Christian people. Regarding Driscoll, he’s your kind of guy, Jeremy. He’s no “yes man” who “votes in lock-step.” He’s his own man, bucking the system, challenging the system. These plagiarism laws are archaic and need to evolve, understanding we live in a time of instant knowledge, where nothing is private nor owned. It’s all Google, man. And besides, he had a good excuse – it was his friend, and no harm done. Who are you to judge? (wow, it was far too easy to slip back into my old progressive ways, where there is no king in the land, and everyone does what is right in their own eyes). Seriously, Jeremy, you’ve built a house on sand. Wake up. Seriously, Chad, you’ve built yourself up into a lather on argumentum ad absurdum and false dichotomies here. Furthermore, the continued reference to “no king in the land” is poor exegesis. Israel was also criticized for demanding a king. The kings also did what was right in their own eyes and were arguably worse for the nation of Israel as a whole. Your interpretation of “no king = theological chaos” is not backed up by the Bible if you read a bit further. As well as the fallacy of lumping all people you label “progressive” into the same category as your “old ways.” Apparently it’s inconceivable that people might not fit into your convenient categories and easy dichotomies. Your entire post is one panicked lump of logical fallacies. I disagree. Jeremy’s underling argument is one of sentiment – if a law is deemed discriminatory by the one breaking it, then it’s an act of love. I’m curious to know what, if anything, in his ethical arsenal can make him say “no” to the couple in his church who wishes for him to bless their poly-amorous marriage. What is stopping him from supporting polygamy or a father marrying his minor daughter? All of these can be argued as discriminatory towards the people being denied their “right” to marry. They all believe they love each other and their love should be codified by their pastor. It’s not a slipper-slope at all but the logical end to an ethic which has hacked away at the authority of Scripture and says that whatever you find discriminatory in your own church law, just disobey. So why is it you hide behind a fake name? Finally home. Thanks for your patience. Chad, I don’t understand the “turn” you’ve made in this conversation from asking “what constitutes a breakable church law” to “everything is meaningless to Jeremy.” It’s really not one or nothing. The UMC affirms pastoral discretion in their polity and affirms sentiment in pastoral services. Thanks to the anti-gay ruling JC1032 in the UMC, I have full authority to deny anyone my pastoral services AND membership in my church. Thus, our church does support pastoral conscience in matters of faith–not mere lockstep to the book. So to your questions above–slippery slope or not–what is stopping me from affirming them is my sole discretion of pastoral conscience. Or should clergy be forced to offer membership and marriage to whoever the UMC deems “fit” for marriage or membership? Still arguing slippery slope and insisting it’s not a logical fallacy. Such arguments neither need nor deserve discussion. Just calling something a slippery slope does not make it so (nor does it make it wrong). What would be helpful is if you would demonstrate how that is so rather than dismissing my questions out of hand. Jeremy, you’ve said that because it’s discriminatory it’s sin. Are all things that discriminate “sin”? Who decides what is discriminatory? And again, on what grounds can you say “no” to the couple wishing a pastoral blessing on their open marriage, the man who wants to marry 2 women, or the father who wishes to marry his consenting, minor daughter? Supposing all argue they love each other and that the laws keeping them from marriage are discriminatory. Do you champion their cause, too? If not, why? Chad, I’m mobile and can reply to short things. Your longer comment will take until I’m back on a laptop. Just letting you know I haven’t checked out of this conversation and I promise to return to address your points. Thanks for your comment and grace on my delayed timeframe. Also, “war” is incompatible with Christian Teaching, but I have yet to see a warmonger clergy brought up on charges for supporting the wars in Iraq, Afghanistan, etc.